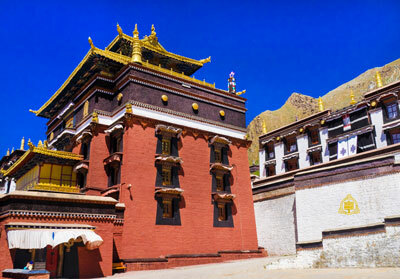 Panchen Lamas’ Palace is located only 1 Km far from Tashilhunpo Monastery. 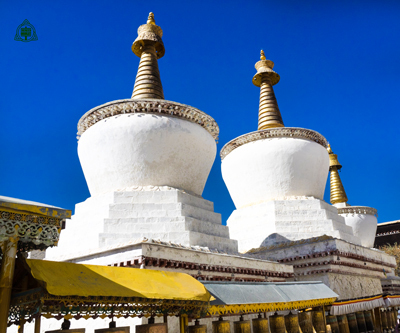 It was constructed by the seventh Panchen Lama, Tenpei Nyima, in 1944. Later, it was expanded by the 10th Panchen Lama. The monastery is a blend of Buddhist temple and Victorian-era mansion. Local people call it as the Dechen Kalzang Podrang. You can take a look here after vising the Tashilhunpo Monastery as they are very close. The wall murals in the palace is quite lovely that combines old works and new works. They cover every surface of the rooms with vibrant color and stunning images. 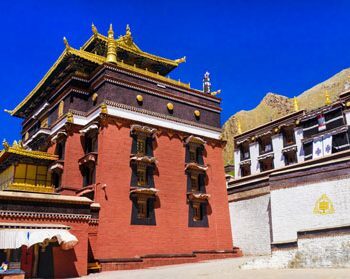 Though it ranks below the Tashilhunpo Monastery, if you get more time in Shigatse, pay a visit to this palace. And it won’t let you down with its rich wall murals and peaceful atmosphere. As the second highest seat of the Tibet, Panchen Lamas’ authority often rivalled the Dalai Lamas. In fact, The Panchen Lamas always provide assistance in the process of choosing new Dalai Lamas.